and contribute to both academics and managers through abundant case studies as well as quantitative studies. How to balance winning in the red ocean and creating a blue ocean is a critical issue for companies. “Blue Ocean strategy (BOS)” is a well established theoretical framework for creating a new market by making competition irrelevant. Since its start in April 2016, Waseda Blue Ocean Shift Institute (WABOSI) has been energetically bridging the gaps between marketing, strategy, and innovation to better understand BOS and its related theories. We will keep putting our best efforts to nurture this intellectual platform for academics and managers. We appreciate your continued support and cooperation. 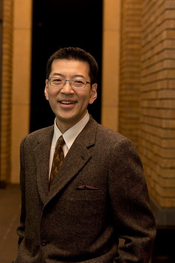 KOTABE, Masaaki, Professor of Global Business and Marketing, Temple University, U.S.
PARRY, Mark E., IProfessor of Marketing and Entrepreneurship, University of Missouri Kansas City, U.S. Recruit Marketing Patners Co., Ltd. Professor Ikegami received Doctor of Business Administration from Hitotsubashi University in 2015. After working for Boston Consulting Group (BCG) Tokyo office, he joined MARS Japan. While he is working for Softbank EC Holdings as a Director of New Business Development, he also served as BOD of several subsidiaries. He also worked for Nissay Capital Co. Ltd., before joining Waseda Business School. His research interest includes corporate strategy, global management, new business development and global leadership. He is a member of international committee of JAIBS (Japan Academy of International Business Studies). He is also an outside company auditor of Toyo INK SC Holdings. Copyright (C) 2017 WABOSI All Rights Reserved.